I wish you a beautiful Tuesday! Today I start a special about famous film songs. 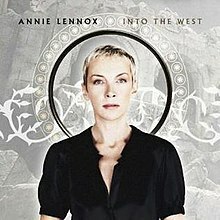 “Into the West” is a song performed by Annie Lennox, and the end-credit song of the 2003 film The Lord of the Rings: The Return of the King. It is written by Lennox, Return of the King producer and co-writer, Fran Walsh, and composed and co-written by the film’s composer Howard Shore.The song plays in full during the closing credits of Return of the King, although instrumental music from the song (which forms the theme of the Grey Havens) plays at other points during the film itself. “The Call” was written by Regina Spektor for the Disney film, The Chronicles of Narnia: Prince Caspian and is featured in the film’s finale and ending credits. “I’d been asked to write things before, and it always feels uninspired, wrong,” she explains. However, she continues, the moon looked a certain way when she stepped out of the private Caspian screening in midtown. She checked her voice mail, and her friends had cancelled the cocktails they were supposed to meet up for, so she walked all the way home, went straight to her piano, and discovered the tear-jerking chorus: “You’ll come back when it’s over/No need to say goodbye.” She sent a demo off to the folks at Disney, and three days later, she was flown first-class to London to record the song with a full orchestra for the movie’s finale sequence. “It was one of the most pure things that ever happened to me,” she says. “Is Yor Love Strong Enough”. 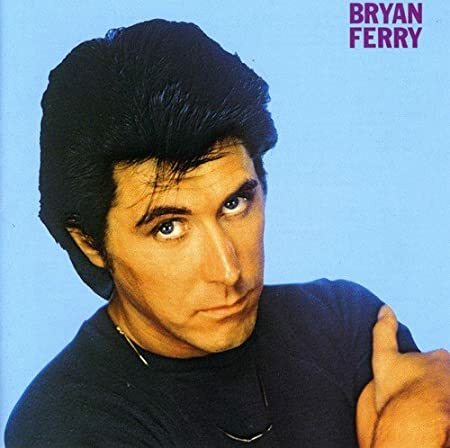 Written by Bryan Ferry ( Roxy Music ) for the Ridley Scott fantasy movie ‘Legend’ and released as a single in 1986. This extended version was available on the 12″ single and featured David Gilmour ( Pink Floyd ) on Guitar. Sir Ridley Scott (born 30 November 1937) is an English film director and producer. Following his commercial breakthrough with the science-fiction horror film Alien (1979), further works include the neo-noir dystopian science fiction film Blade Runner, historical drama Gladiator (which won the Academy Award for Best Picture), and science fiction film The Martian. “My Heart Will Go On,” also called “My Heart Will Go On (Love Theme from Titanic)“, is the main theme song to James Cameron‘s blockbuster film Titanic, based on an account of the eponymous transatlantic ocean liner. Its music was composed by James Horner, its lyrics were written by Will Jennings, and it was produced by Walter Afanasieff and Simon Franglen, recorded by Celine Dion, and released in 1997. 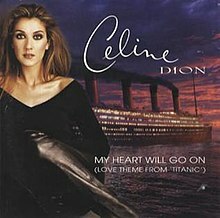 Originally released in 1997 on Dion’s album Let’s Talk About Love and the Titanic soundtrack album, the romantic song went to number one all over the world, including the United States, Canada, Ireland, United Kingdom, and Australia. “My Heart Will Go On” was released in Australia and Germany on 8 December 1997, and in the rest of the world in January and February 1998. The song became Dion’s biggest hit, as well as the world’s best-selling single of 1998 and one of the best-selling singles of all time. The music video was directed by Bille Woodruff and released at the end of 1997. Due to the song’s widespread popularity when it was released, it is considered to be Dion’s signature song. It was also included in the list of Songs of the Century by the Recording Industry Association of America and the National Endowment for the Arts. Dion performed the song to honor the 20th Anniversary of the film at the 2017 Billboard Music Awards on 21 May 2017. [With worldwide sales estimated at 18 million copies, it became the second best-selling single by a female artist in history, and the eighth overall. After all this romatix movie songs we go back to 1969 to one of the most legendary films of the film history. 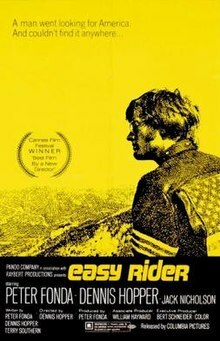 Easy Rider is a 1969 American independent road drama film written by Peter Fonda, Dennis Hopper, and Terry Southern, produced by Fonda, and directed by Hopper. Fonda and Hopper played two bikers who travel through the American Southwest and South carrying the proceeds from a cocaine deal. The success of Easy Rider helped spark the New Hollywood era of filmmaking during the early 1970s. A landmark counterculture film, and a “touchstone for a generation” that “captured the national imagination”, Easy Rider explores the societal landscape, issues, and tensions in the United States during the 1960s, such as the rise of the hippie movement, drug use, and communal lifestyle. Real drugs were used in scenes showing the use of marijuana and other substances. Easy Rider was released by Columbia Pictures on July 14, 1969, grossing $60 million worldwide from a filming budget of no more than $400,000. Critics have praised the performances, directing, writing, soundtrack, visuals, and atmosphere. The film was added to the Library of Congress National Film Registry in 1998. “If 6 Was 9” is a song written by Jimi Hendrix and recorded by the Jimi Hendrix Experience. It appeared on the release of their 1967 album Axis: Bold as Love and on the soundtrack for the 1969 film Easy Rider and the soundtrack for the 1991 film Point Break. “Born to Be Wild” is a song first performed by the band Steppenwolf, written by Mars Bonfire. The song is often invoked in both popular and counter culture to denote a bikerappearance or attitude. It is sometimes described as the first heavy metal song, and the second verse lyric “heavy metal thunder” marks the first use of this term in rock music (although not as a description of a musical style). I want to finalize the firts part of this special story with another legendary cult band and cult movie. Unlike most soundtrack albums, audio from the film is prominently used in the songs.It has sold over 3 million copies. Flash Gordon is the ninth studio album and the first soundtrack album by the British rock band Queen, released on 8 December 1980 in the United Kingdom by EMI Recordsand in February 1981 in the United States by Elektra Records. It was one of two film soundtracks that they produced along with Highlander. It is the soundtrack to the science fiction film Flash Gordon, and features lyrics on only two tracks. “Flash’s Theme” was the only single to be released from the album under the title “Flash“. The album reached #10 on the UK charts and #23 in the US. The album was reissued worldwide on 27 June 2011 (excluding the US and Canada, where it was released on 27 September 2011) as part of the band’s 40th anniversary. The reissue adds an EP of related tracks. I wish you a very nice Tuesday and come back tomorrow with the second part of “Film Songs” special.